College expenses continue to rise, and many students wonder how they will pay for everything. Did you know that student loans are not the only option? And have you considered bonds? Many people don’t know exactly what bonds are, so we’ll cover that briefly, first: Bonds are certificates that are purchased from the government. These bonds can be redeemed for a specific amount of money at a later date, which is also specified in the bond agreement. When a person purchases a bond, he or she is essentially loaning the government money, which he or she then collects interest on. This system allows the government to use the capital investment, and it allows the bond purchaser to earn interest on a very secure investment -- it’s very unlikely that the government will have to default on this loan. Baccalaureate bonds are zero-coupon bonds, which means that no interest payments are collected during the span between the purchase of the bond and its final maturity date. They are issued by certain states to assist families saving for college tuition by means of added tax benefits and special maturity date agreements. So, they are very similar to zero-coupon bonds, but have college planning as their primary focus. Keep reading to learn more about this specific type of zero-coupon bond. There are three important terms to know as you learn about bonds, in general: the par value, the coupon rate, and the maturity date. Knowing these terms will help you analyze the different types of bonds available and be able to compare them. Par value is the amount of money the investor will receive once the bond matures. This means that whoever sold you the bond will return to you the original amount that was loaned, or the principal. The coupon rate is the amount of interest that the bondholder will receive expressed as a percentage of the par value. The bond will also specify when the interest is to be paid, whether monthly, quarterly, semi-annually, or annually. The maturity date is the date when the bond issuer has to return the principal to the lender. Once the principal is paid, the debtor is no longer obligated to make interest payments. Baccalaureate Bonds are very similar to zero-coupon bonds, but are specifically designed for your college planning needs. They work like any other tax-free zero bond, except that your state will also give you a discount on tuition if you enroll in the state university and pay with these bonds. These bonds also typically come in smaller denominations, and offer several maturity options, which makes them more convenient for paying yearly college fees. In fact, many of these bonds have maturity dates that coincide with dates that tuition is due. But, beware… only about 20 states issue baccalaureates. To use them you must be a resident of the state and your child must attend a state university, so make sure to check if your state issues baccalaureate bonds. 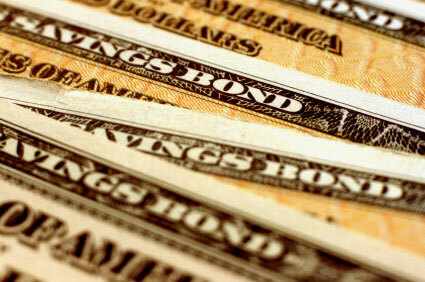 Zero Coupon Bonds are bonds that do not deliver any interim interest payments between purchase and maturity. Even though you do not receive any interest while holding your baccalaureate zero-coupon bonds, the IRS requires that you calculate an annual interest income and report this income each year. Usually, the issuer of your zero coupon bond will send you a Form 1099-OID, Original Issue Discount, which lists the interest. You should report this interest like any other interest you receive. For capital gains purposes, the calculated interest you earned between the time you purchased and the time you sold or redeemed the baccalaureate zero bond is added to your cost basis. If you held the bond continually from the time it was issued until it matured, you will generally not have any gain or loss. Issued at deep discount and redeemed at full face value. You must pay tax on interest annually even though you don’t receive it until maturity. Some issuers may call zeros before maturity. With baccalaureate zero bonds, you have to use the money to pay for college expenses at a state university.